I was at this booth wondering if its some kind of waxing for there are bottles of jars and ice cream sticks on the table. 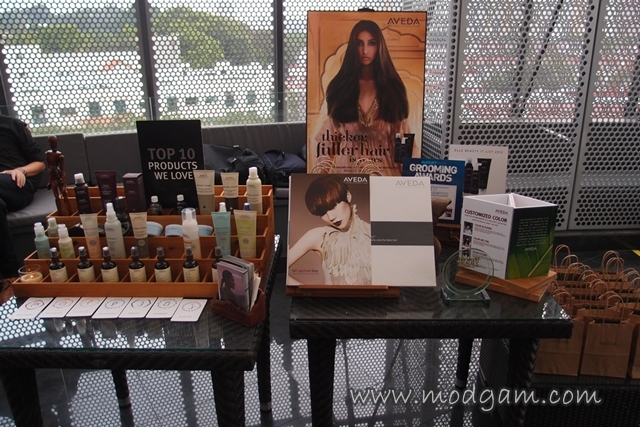 Hahaaa I was all curious and excited cos everything on the table looks so fun. We were greeted by the gorgeous Petronille who is also the creator and brains behind Petronille Cosmetic. Yes, she named her cosmetic brand under her name. How cool is that? Graduated from the Faculty of Pharmacy of Paris, Pétronille Houdart has been always fascinated by the world of cosmetology. Professionally invested in dermo-cosmetic research, she has been able to assess how the “beauty creams” and “real care aspects ” were too often thought of separately. Therefore Petronille is dedicated to a patient research and development of customised skin care, sourcing highly active ingredients to create targeted products and give a real meaning to ‘beauty care’. 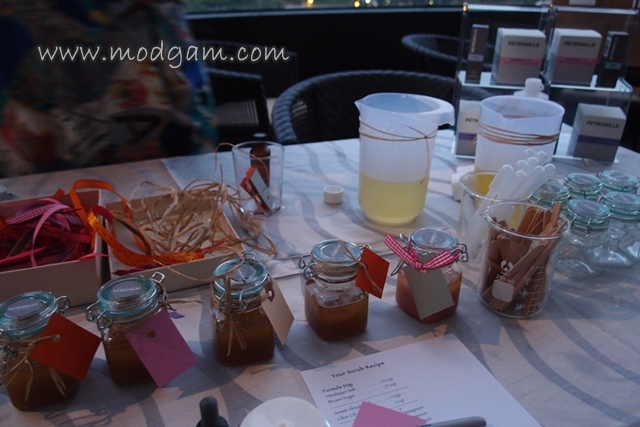 I remember what Petronille was telling me, she said our skin is unique and variable and because it deserves our attention, she has decided to study and designed unique skincare products customising for both men and women. 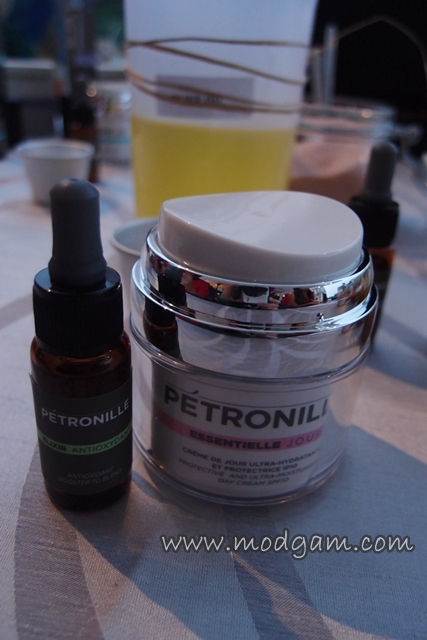 We were introduced to Petronille Essentielle Cream + Elixir Booster Blend, mixed them together and apply them to your skin. I will explain later as we go along. 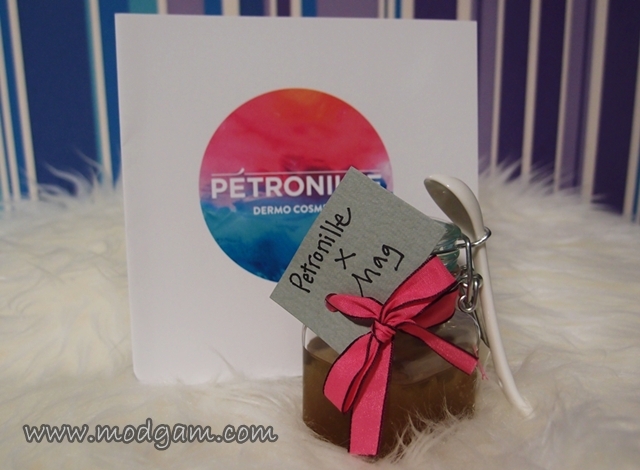 Petronille beauty booth has to be the most fun for me. She told us she is gona teach us how to make our own scrub! How awesome is that??? 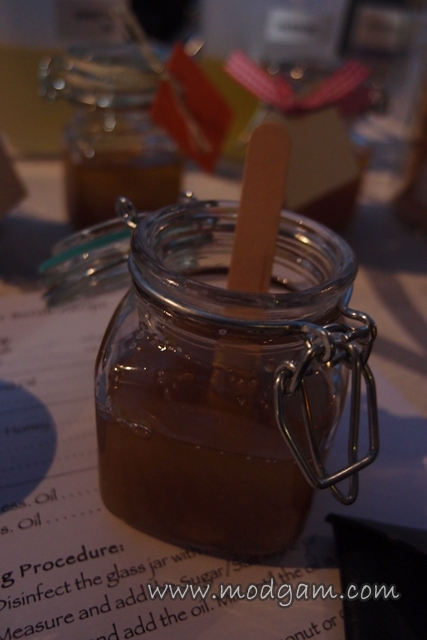 All the ingredients smell so good and yummy that I was tempted to taste some of mine! Wana know what is more awesome? 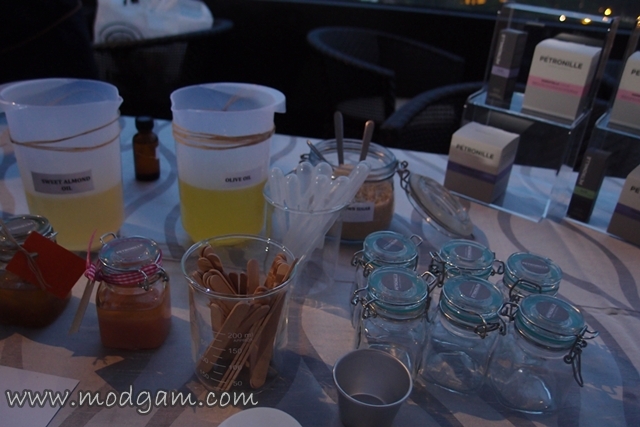 You can easily remake the scrub again for the ingredients are available in most grocery stores! 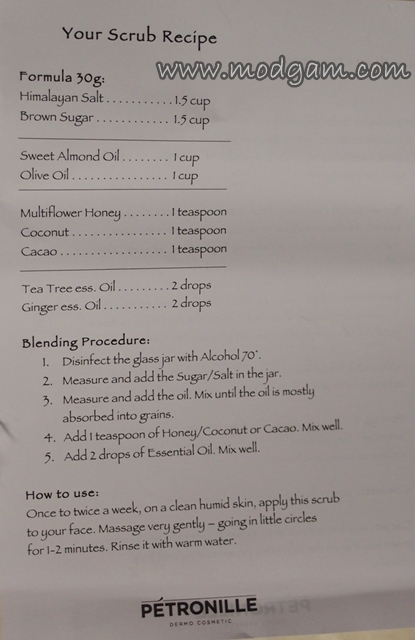 Please refer to the Scrub Recipe as shown and choose your relevant ingredients from the Ingredients Directory as shown. For my scrub, I chose Brown Sugar as I want to exfoliate my skin, added sweet almond oil for moisturizing and lastly honey for tightening. Told you my scrub smells very very good! All the ladies were smiling and having so much fun! The very thoughtful Petronille prepared ribbons and cards for us to decorate our own scrub! That was not all! She is so thoughtful she even prepared spoons for our scrubs!! 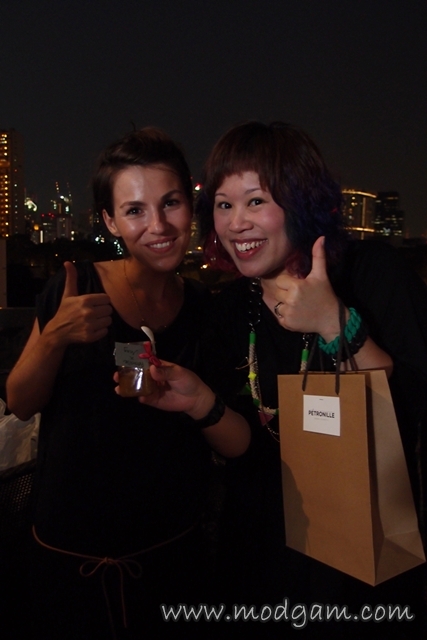 THANK YOU SO MUCH Petronille! I was about to leave the booth after thanking her and she told me she still hasn’t passed me my goodies bag! I couldn’t stop smiling and thanking her for her generosity! 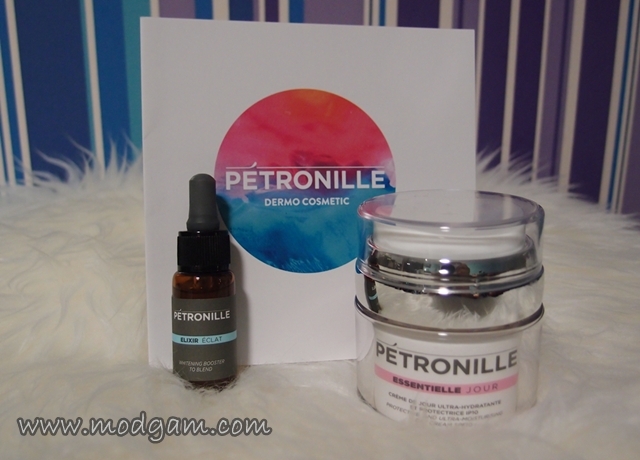 Upon opening my Petronille goodies bag, I was surprise to see 2 full size items! 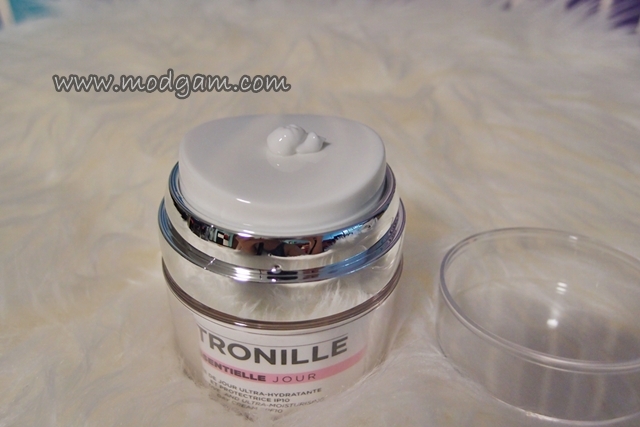 The Essentielle Cream and the Elixir booster for blending to reinforce its efficacy. Its a day cream filled with antioxidant and energising active ingredients which actively protects your skin and prevents signs of aging. 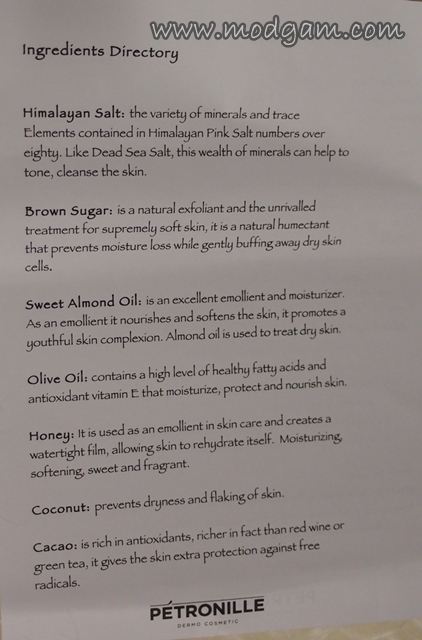 Protected from free radicals and UV rays, skin is hydrated, soothed and wonderfully luminous. Prevents the appearance of dark spot and corrects existing ones. Ensures a bright and even complexion for a sublime radiance. I love the whole idea of the cream dispensing from the middle as it prevents the cream from going back to the tub, this minimizes contamination and Petronille further explains you will get the right amount from pressing once or twice. 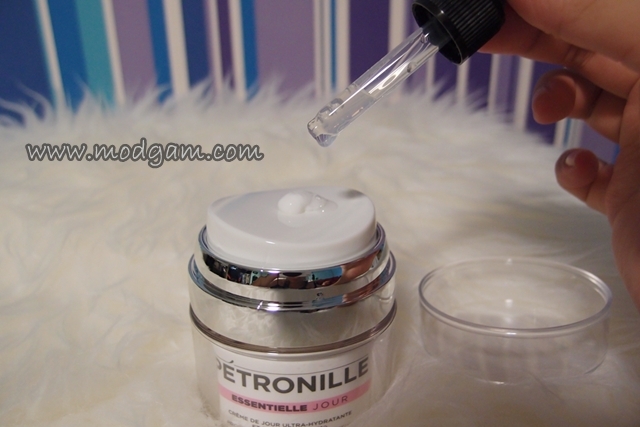 Add a drop of the elixir onto the Essentielle cream and blend them well together. Swipe the ready mixed cream and apply them all onto your face. 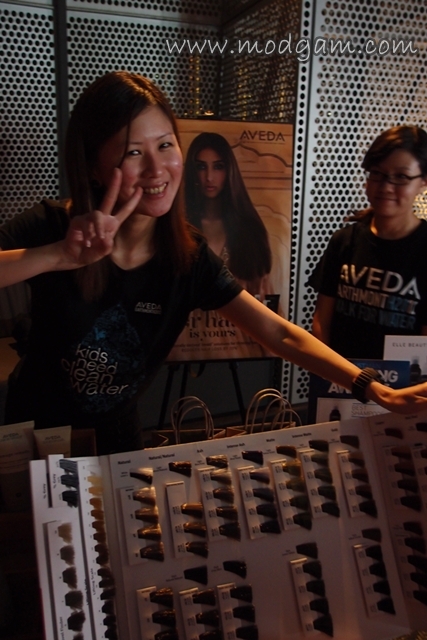 Our last and final booth at Aveda! 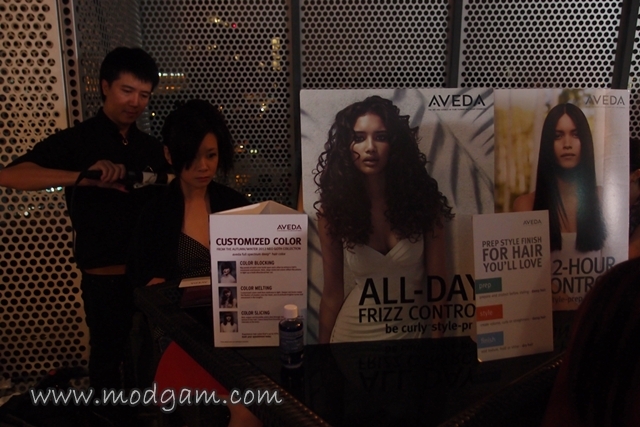 I’ve always thought Aveda is all about hair products and hair salon. I didn’t know that Aveda is also about lifestyle and wellness with facial therapy, spa and massage, skincare and bodycare products. When one of the ladies at the counter offered me the chance to try their blue oil therapy and massage, I JUMPED AT THE opportunity. I was so drained out, the inhaling and exhaling of the peppermint helps me relax and using the same oil, she massage onto my very tensed shoulders. It was really good for I was kinda perked up with the slight burning mint feel on my back. I LIKE IT, it feels that my blood is circulating! 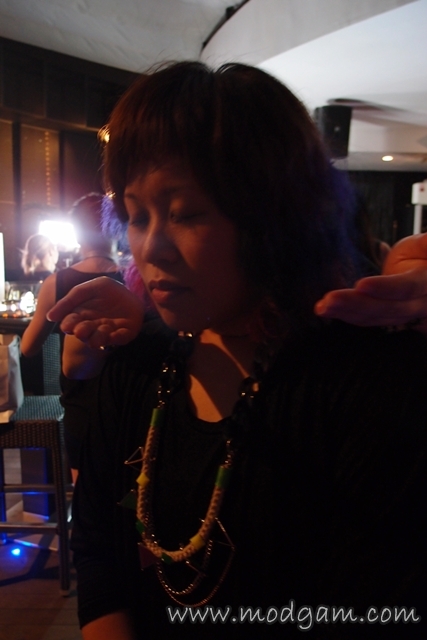 Vivian from Aveda was explaining to us about Chakra Sensory Journey. She further explains that Aveda Chakra aromas are junctions between consciousness (mind) and matter (body). Chakra were created aromas to help you focus on these personal growth energy centers and at different time of the day, your Chakra can change accordingly. Vivian then got me to choose among the 7 Chakra cards as shown, not by the words but by the colors and shapes. I have to pick 3 that is most attractive to me. She went on to spray the aromas and got me to close my eyes and smell. After which, I was to choose the smell that I like most. 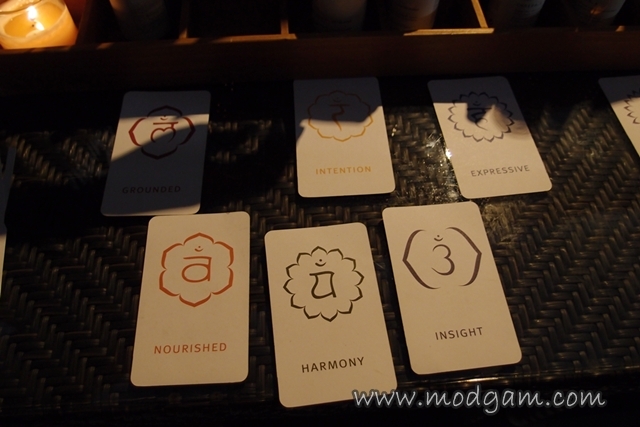 I ended up with Chakra 2 – Nourished. I am not even a fan of sandalwood, organic orange and geranium but I was feeling very drained out and Vivian explained that maybe at this point where I was really tired, the citrus smell attracted my senses and me the most. So interesting! 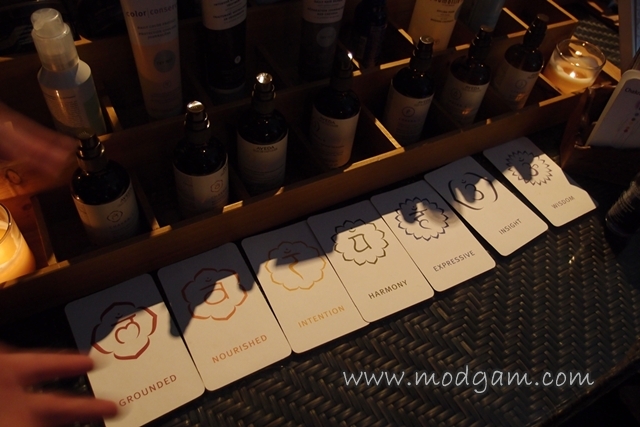 You can always drop by Aveda at Takashimaya Shopping Mall to see what your Chakra is. Don’t be shy and drop by for a quick perk up! The not only offer FOC Chakra reads, they also offer the blue oil therapy with a quick massage to go with. I intend to pop by someday and see if I am still Chakra 2. 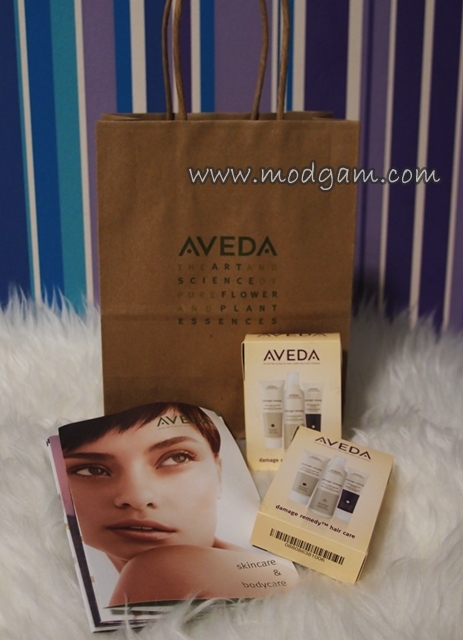 Thank you Aveda for unique experience and the goodies bag! The party isn’t over till BELLABOX says so! 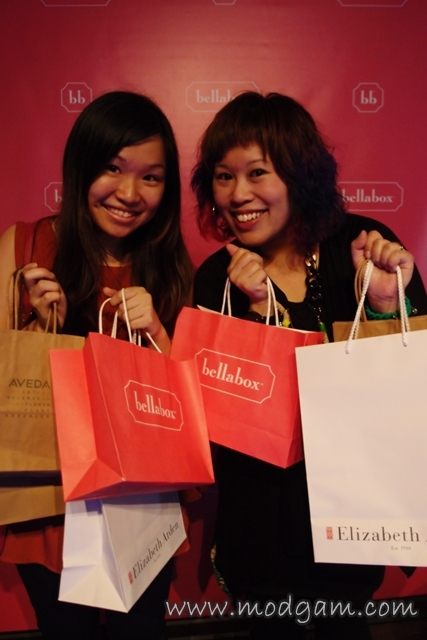 Hahaaa We were given an empty Bellabox and we get to pick and choose our own Bellabox items! This is so much fun and I could have easily filled it up with more than 5 items! I had to control myself. Thank you Mandy and Bellabox for having me again, I had so much fun and this is the best TGIF ever! 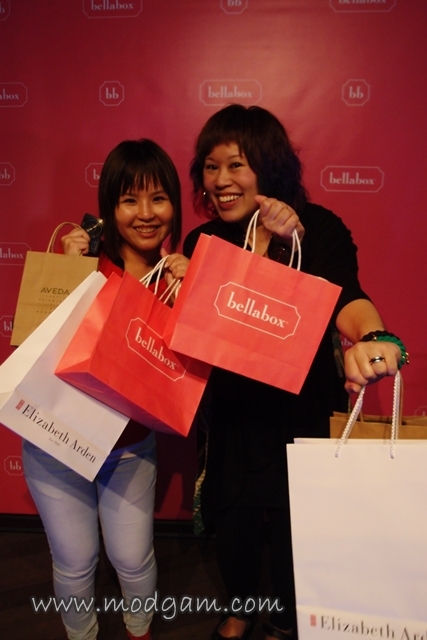 We, ladies, couldn’t stop laughing and lugging all the beauty goodies bags with us! Subscribe to Bellabox for they are always on the scout for amazing beauty products to share with all their subscribers and for just S$19.95 monthly, you get to try a lot of different amazing beauty products before committing to one.